We are very pleased to announce the publication of our new book, Primordial Meditation: Contemplating Reality. 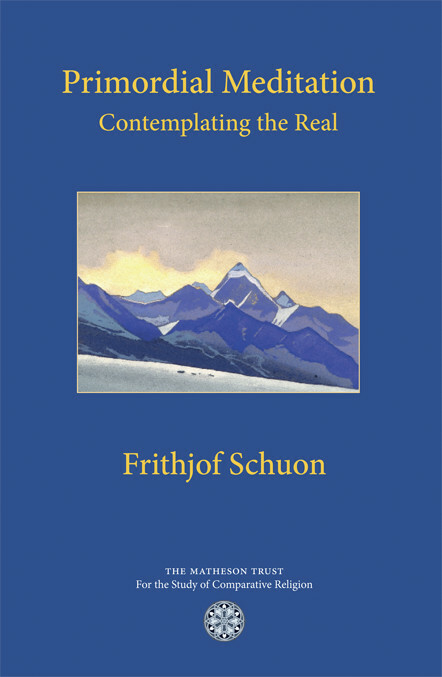 This is the first book ever written by Frithjof Schuon, compiled from his personal notebooks in the early 1930s. It was written in his native German, and this is the first time it is published as a book in English. In these early writings it is as if an immense energy were forcing a passage through a narrow channel, or a huge mass were being compressed to its utmost. The sheer scope and power of the content constantly threaten to burst the confines of the verbal receptacle. (…) Its doctrinal rigour is complemented and counterbalanced by passages of haunting imagery and lyricism. It powerfully engages our total intelligence, penetrating not only the thinking mind, but also the depths of the soul. The profound nature of things is changeless; with regard to the one metaphysical Truth, this present book, too, is impersonal and timeless, despite having in places the characteristics of an early work. Click here to read an excerpt of the book in PDF format. Primordial Meditation (ISBN 978-1-908092-120) is available through all major internet retailers and can be ordered from your local bookshop too. Follow this link for more details.